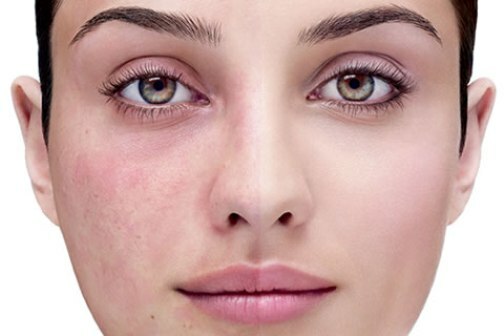 Rosacea, a skin condition in which the face appears red and flushed, can pose some serious skin challenges to a number of people. It’s often difficult to control just when and where it’s going to occur, and it can also lead to additional challenges such as swelling, acne or scaly skin, as well. Fortunately, there are steps you can take to help manage your rosacea. While it’s certainly important to work with a doctor for managing this skin condition, the skincare and beauty researchers at Adore Cosmetics say that there are also some steps that you can take on your own. Here are their top home remedies to try. Oatmeal is packed with healthy antioxidants that soothe irritated skin. By mixing powdered oatmeal and water in equal parts, you can create a soothing mask that’s easy to apply to the areas of the skin impacted by rosacea. Just leave it on the skin for 20 minutes as needed. Then you can rinse it off with cool water and pat the skin dry. Doing this twice a day seems to provide the needed relief from rosacea symptoms. Raw honey is a wonderful natural moisturizer that can balance out problem skin without it becoming too oily. And its anti-inflammatory properties directly address the symptoms of rosacea. It’s actually helpful to massage the face with two tablespoons of raw honey a couple of times a week. Then you can rinse the face and apply moisturizer to continue the healing process. Few natural food components match the antioxidant potential of green tea for healing troubled skin. To make the most of it, you can brew green tea like you normally would and chill it in the refrigerator. Then soak a cloth in the cold tea and place it over the irritated skin for soothing relief. This treatment is helpful when done twice a day. Adore Organic Innovation focuses on using natural ingredients such as plant stem cells and various botanicals to refresh, renew and revitalize skin.